Now if you want a really tasty sponge cake that is not only light but very moist too you cannot go wrong with a Citrus cake; a cake flavoured with orange, lemon and lime. 1 orange, 1 lime and 1 lemon. Cream the butter and sugar together and then beat in the eggs and vanilla essence. Fold in the flour, baking soda and cream of tartar. Grate the fruit rind into the mixture and add a quarter of the juice from the lemon, orange and lime. Pour the mixture in the prepared tin and bake for 40 mins until firm to the touch. Warm another quarter of the juices with some sugar, prick the top of the cake whilst still in the tin and pour on the juice. Take out of the tin only when it is cold and then ice the cake if you want with some icing made with icing sugar and orange juice. 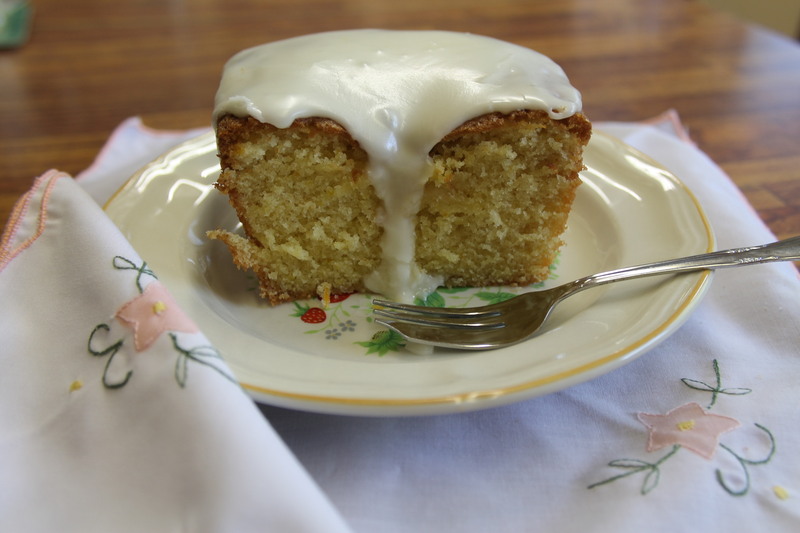 You can leave it without icing if you want either way it is a lovely moist light cake. My husband does not like icing so I only iced half of it! I have made this cake three times now and each time it sinks in the middle. Any ideas what I can be doing wrong?